Dr. Coney: What are some of the limitations of the Amsler Grid? Dr. Coney: How did you integrate FSH into your plan/protocol to manage AMD patients? Dr. Sheth: Do your patients feel reassured that you are remotely monitoring their vision? Dr. Sheth: Why is early wet AMD detection important and what is the impact on visual acuity? 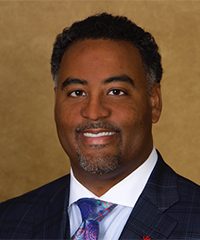 Dr. Coney practices at Retina Associates of Cleveland and is actively involved in clinical research and teaching. He is a Senior Clinical Instructor at University Hospitals/Case Western Reserve University, where he completed his ophthalmology residency. Dr. Coney has been a clinical investigator in over 110 research studies of treatments for diabetic retinopathy, age-related macular degeneration, and other vitreoretinal diseases. He gives lectures locally, nationally, and internationally to both professional societies and community organizations. 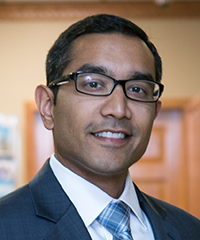 Dr. Sheth practices at University Retina in the Chicagoland area. In addition, he continues to teach physicians and students at the University of Illinois at Chicago. Dr. Sheth is actively involved in clinical research including national trials for age-related macular degeneration, retinal vascular occlusion, and diabetic retinopathy. His efforts in research have resulted in many peer-reviewed publications, meeting abstracts, and textbook chapters. He is the first author on the latest edition of the Massachusetts Eye & Ear Infirmary Review Manual for Ophthalmology.